Today is the premiere of a new website that Joomlaproffs made to a local player in the fashion industry. 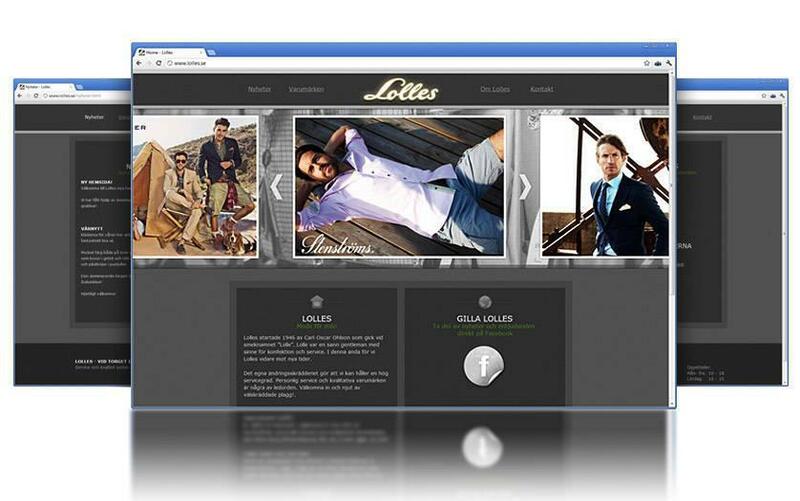 Lolles sells upscale men's clothing and have their physical store in Varberg. Through a specially developed slideshow got Lolles a digital storefront to showcase their fine brands. We at Joomlaproffs always make any design without the use of templates and can therefore guarantee a unique page that always suits the customer. Are you also keen on a specially designed website as contact us here!